Lightweight, balanced and easy to carry, these larger sized garden trugs are made using the traditional rustic method from metasequoia timber secured with brass pins and screws. 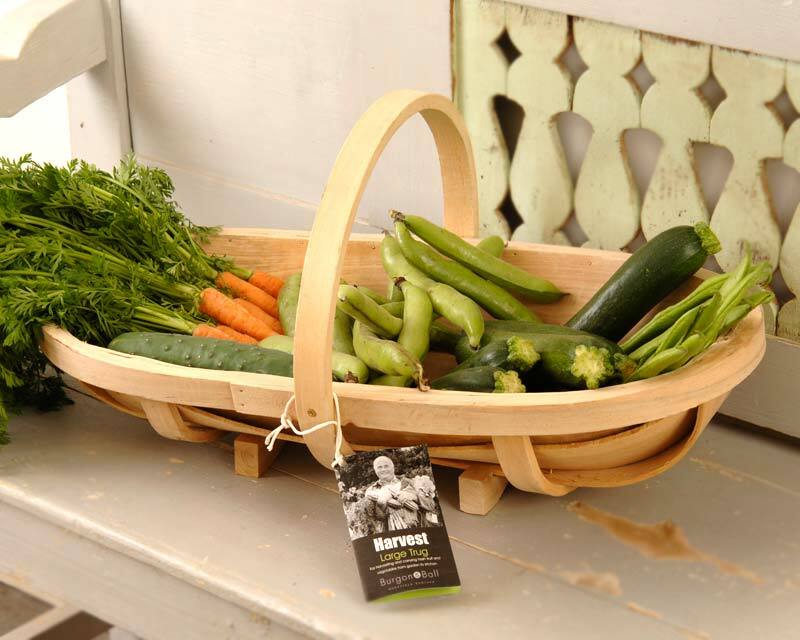 These durable Natural Wooden garden trugs are the essential gardeners accessory for carrying around tools, freshly picked flowers, harvested vegetables or even weeds! The classic design remains the ultimate carry-all container, being comfortable and lightweight in the hand or over the arm. 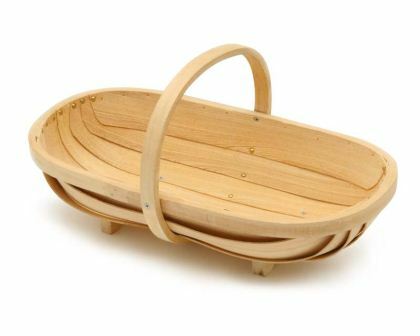 Unlike so many plastic alternatives, these trugs will out last most being unaffected by ultra-violet sunrays or wind and rain. 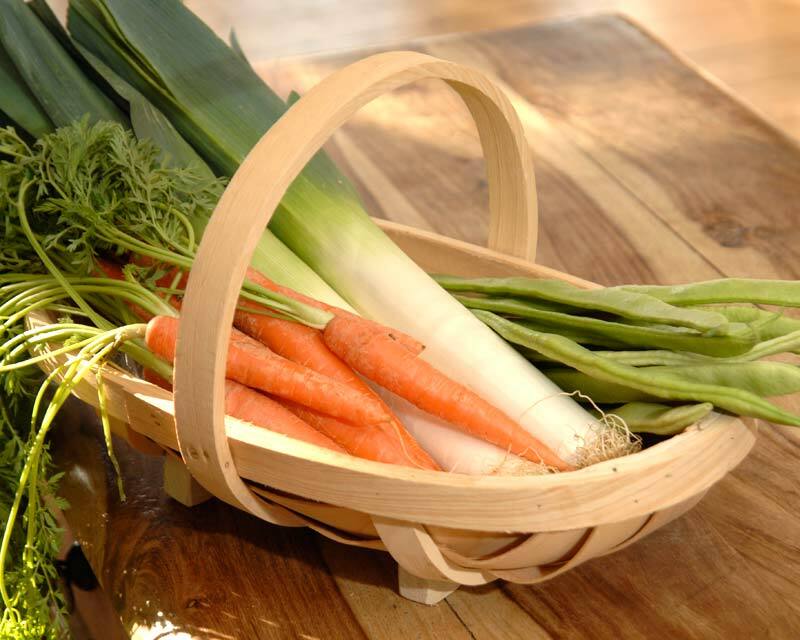 If you want to be practical and look the part - then these trugs are a must !! Medium size 40cm x 23cm. Large size 57cm x 27cm. Made in the UK utilising traditional artisan methods by Burgon & Ball - preferred suppliers to the RHS.